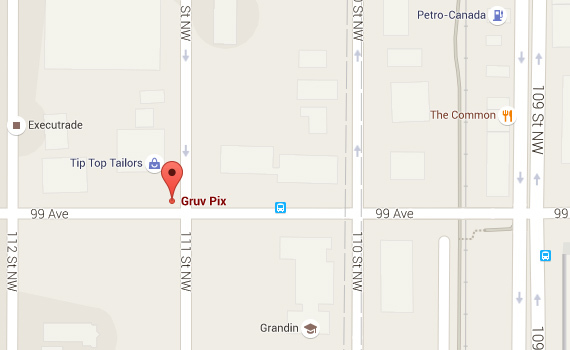 Gruvpix is proud to serve Edmonton, Calgary and anywhere across Alberta and beyond. With a mobile video production crew and contacts across Western Canada, we are not limited by location! Feel free at any time to drop us an email, phone call, tweet or letter and we will get right back to you as soon as we can.